Photographs and Interviews by Lori Grinker. Introduction by Chris Hedges. 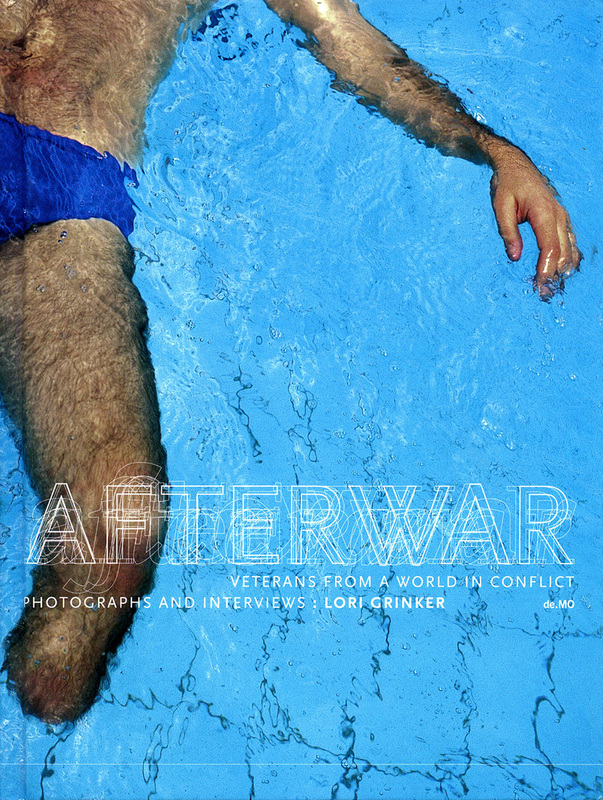 AFTERWAR: Veterans from a World in Conflict is a collection of images and interviews by photojournalist, Lori Grinker. Covering 30 countries in 15 years, revealed is the physical and psychological after effects of war on the veterans whose bodies and minds are changed forever. The book is organized in reverse chronological order, from the most recently ended conflicts (Sri Lanka), to the early part of the century (World War I). The past century was one of history's deadliest. More than 100 million people died in over 150 conflicts. Countless others were wounded as nationalism, competing ideologies and religions, and genocidal conflict raged across Europe, through Asia, Africa, and the Americas. A native New Yorker, Lori Grinker is an award-winning photographer, artist, educator and filmmaker. Author of Afterwar; Veterans from a World in Conflict, and The Invisible Thread: A Portrait of Jewish American Women. Her third book, Mike Tyson will be published by Powerhouse Books. Two additional books are also in progress. Her projects, which revolve around the themes of history, culture, and identity have garnered many awards, including a New York Foundation for the Arts Grant, the W. Eugene Smith Memorial Fellowship, the Ernst Hass Grant, an Open Society Audience Engagement Grant, Hasselblad Foundation Grant, the Center (Santa Fe) Project Grant, and a World Press Foundation First Prize. Grinker is a 2005 Ochberg Fellow of the Dart Center on Journalism and Trauma. International solo and group exhibitions include such diverse venues as the United Nations, secondary schools and universities, art galleries, and recently in War/Photography, at the Brooklyn Museum (2013–14). Her work is held in many private and public collections including: Akron Art Museum, Ohio; Centre National de l'Audiovisuel, Dudelange, Luxembourg, International Center of Photography, NYC; Israel Museum, Jerusalem; Jewish Museum, NYC City; Museum of Fine Arts, Houston; New York Historical Society, The Museum of Modern Art, Portland Museum of Art; San Francisco Museum of Modern Art; Joods Historisch Museum, Amsterdam; US Embassy to Kenya, Nairobi.